Nikole’s teachers probably thought they were being helpful. In telling her that she wasn’t “good at” science and math, they likely meant to encourage her interest in other areas rather than specifically discourage her interest in those. Like many girls, Nikole took her the words of her teachers as evidence that she should move on. Nikole is now Nikole Collins-Puri, CEO of Techbridge Girls – an organization that has spent the last 18 years providing high-quality STEM programming to girls in low-income schools. As CEO, Collins-Puri is proud to be part of sending a very different message than the one she received in her youth: You belong in this space. 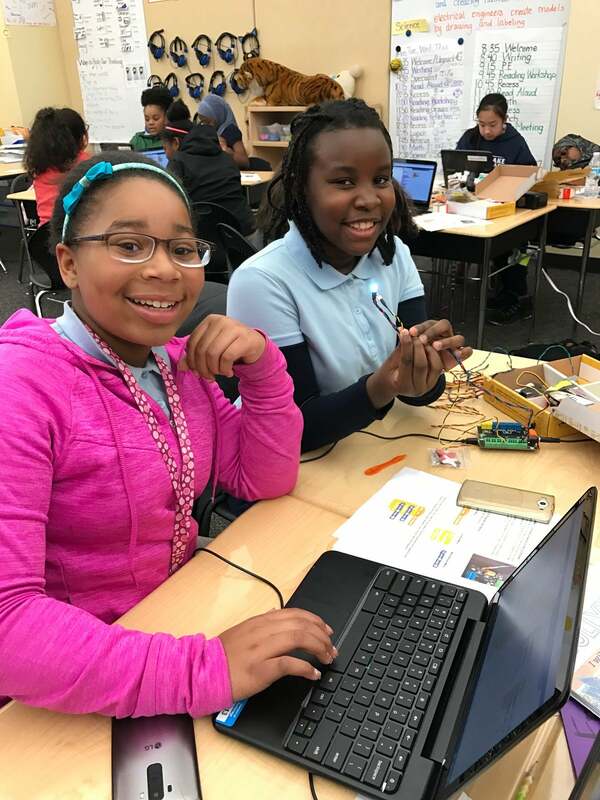 Techbridge Girls started as a program at the Chabot Planetarium in Oakland, but it has since expanded into a non-profit with programs throughout Title 1 schools in the Bay Area, Seattle, and Washington, DC. Its website highlights the goal to “Excite, Educate, and Equip Girls through STEM.” And speaking to Collins-Puri made it clear just how much that third component – equipping girls – shapes the approach of the organization overall. According to the National Center for Women & Information Technology, the number of undergraduate women interested in Computer Science majors decreased by 79% from 2000-2011. National Science Foundation statistics cite that only 12% of engineers are U.S. women, only 2% of engineers are women from underrepresented minorities, and less than 1% of 2008 doctoral degrees in in science and engineering were awarded to minority women. Empowering girls to achieve greater economic mobility and better life chances through STEM takes more than exposure to new content; it takes attention to the social and emotional support necessary to pursue a new direction. Rather than a place to learn something, Collins-Puri described the Techbridge Girls as “a compass or navigator that allows girls the time and resources to find their own potential.” She said that their work comes down to three points: access, equity, and inclusion. Access to STEM programming is often limited in schools, and access to high-quality enrichment programs is even more so. The Techbridge Girls have created the content they wished could be in classrooms and brought it to the afterschool and summer arenas. And access here refers to more than placing content in hands. Access also means access to networks, access to individuals who serve as mentors and role models, and access to what Collins-Puri described as “visual possibility” – a chance to see the options available to you. The focus on equity drives the organization to look at the best educational experiences available to some, and find ways to make them available to as many students as possible. The final part, inclusion, follows their goal to go beyond access and into retention. That means creating opportunities to foster agency, confidence, resilience, and the feeling that they are supported. Together they hope to take something that many starting the program may see as “not a girl subject” and make an ecosystem where students feel that they belong. But meeting such lofty ambitions takes more than just well-meaning educators and curriculum materials. For one, it takes a lot of training. Volunteers need to learn how to think about methods for effective engagement, calibrate their own language level depending on audience, and practice engaging with questions or concerns they might not be used to. That training may help volunteers understand that making lip balm or slime is more than just something cool to do; it is a chance for kids to feel included or have access to the same experiences or products as their peers that, financially, might not otherwise be available to them. Crafting this kind of programming has brought the Techbridge Girls into the STEM world in another way as well: collecting data. The organization believes in rigorous evaluation of their programming. Setting goals for a particular program is one thing, but scaling it for more kids means needing to measure its effectiveness first. 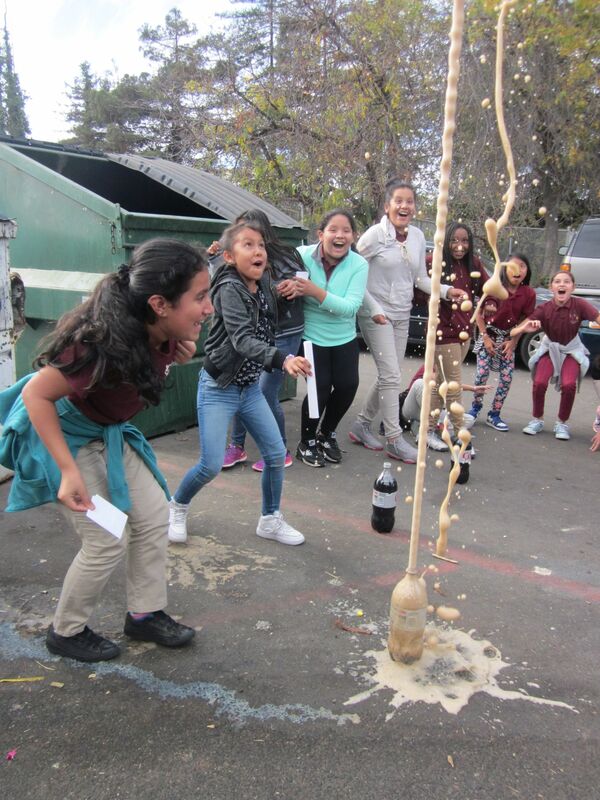 By collecting data about impact and effectiveness, the organization has crafted best practices that can share their experience not only with future Techbridge Girls volunteers, but other STEM programs as well. Based on recent surveys, 96% of Techbridge Girls think that engineering is a good career field for women. Because of the role models they met and field trips they went on, 82% said they were more interested in working in technology, science, or engineering. And it is hard to imagine another population of 5th-12th graders who report that 84% have had a chance to talk to a scientist, engineer, or technology worker about his or her job. The organization is collecting scalability data as part of a National Science Foundation grant and hopes to start disseminating findings this fall. Collins-Puri said that the belief that big numbers and complex systems might not be her strengths lasted right up until they became a central part of her job. As a manager for the President of Global Sales organization at AT&T, she had to manage a multi-million-dollar budget and work with the finance team to collect and analyze data. She thrived. “Why hadn’t anyone explained to me that science could be like sports?” she said. “No one expects to be great at a sport as soon as they start; it takes practice.” She hopes that Techbridge Girls will give young women a chance to explore their strengths for themselves and practice in a more supportive setting – and much earlier – than she was able to herself. Techbridge Girls relies on a diverse and broad set of funders to advance their mission, with Chevron, Samsung, Boeing, and the National Science Foundation as their leading partners. Are We Even Playing the Same Game?